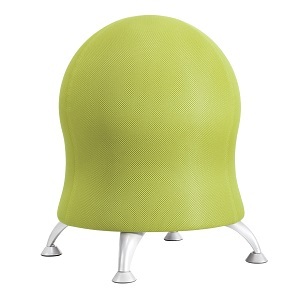 Safco Zenergy Ball Chair is the answer for kid's seating anywhere there's a wiggle and giggle. 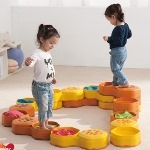 Zenergy™ ball chairs are a unique seating option that encourages movement throughout the day and may help support better posture and balance. 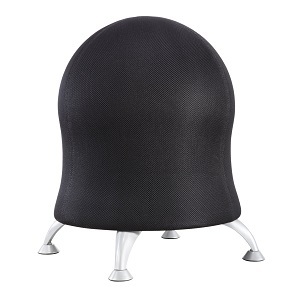 Safco® Zenergy™ Ball chair measuring 23" x 22 1/2" is made of polyester fabric for comfort & durability. 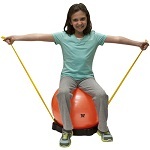 It has an anti-burst exercise ball that is covered with mesh fabric and features four, powder coated legs with stationary glides. Versatile chair helps to strengthen core muscles and allow natural fidgeting, increasing the ability to burn calories. 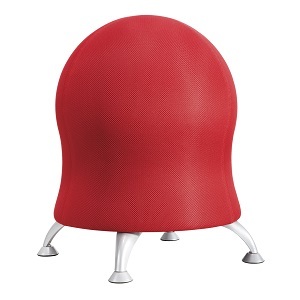 Using this chair is like using an exercise ball, but with the added benefit of being stationary so that it won't roll. Chair is ideal for meeting spaces, common areas, waiting areas and reception. Pump is included. Great for use as a desk chair, in waiting rooms, meeting spaces, classroom or home for an alternative chair that allows for dynamic movement. 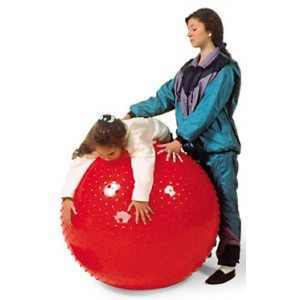 Fully inflated, seat height is 23" and will lower when occupied.